Interested in Working as a Botanist for the Forest Service? The Olympic National Forest is looking for an experienced botanist to conduct botanical surveys in the Wynoochee River watershed this summer. Work is temporary and will occur June through September, 2018. Schedule is flexible and can be full or part time. This position will require frequent overnight travel. Base pay is $17.66 – $21.93 per hour; travel costs will be reimbursed, including per diem. This position requires frequently working alone surveying for sensitive plants and weeds in proposed timber sale units, on steep and rugged terrain. Two or more years of experience with this type of work is mandatory. Demonstrated ability to navigate off-trail, and to safely conduct work in such situations is also required. 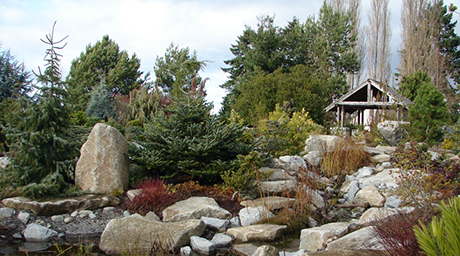 Two or more years of experience with the flora of western WA, including lichens and bryophytes, is highly desirable. Experience with Forest Service survey and documentation protocols also desirable. Please submit a resume to Cheryl Bartlett, Olympic NF Forest Botanist, at cbartlett02@fs.fed.us by March 15, 2017. Please call 360-956-2283 if you have any questions.